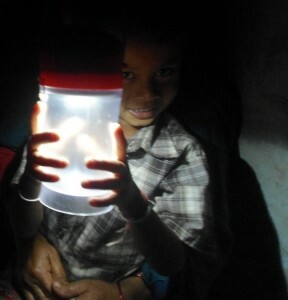 Can Daylight Savings Shed Light on Energy Poverty? What Does the End of Racism Look Like? For many, the end of Daylight Savings Time is associated with an extra luxurious hour of sleep. Since modern electricity mitigates our lighting experience throughout the day, I don’t really consider the fact that it also means that it will get dark earlier in the evenings and lighter earlier in the mornings. I can switch on a light and read while it is dark outside, and I can close my blinds in the morning if I want my apartment to get darker. But this year, I’m wondering what it would be like if at sunset, I could no longer read, no longer maneuver around my crowded apartment without candlelight, and I could no longer see someone while I am talking to them. This is in large part because I listened to this TEDx Zurich Talk still in rough form given by Anya Cherneff, Executive Director of Empower Generation. (Anya’s talk is about 52 minutes into the unedited clip.) I met Anya through her father, Peter Cherneff, the founding board chair of Footsteps. As Executive Director of Footsteps, I was often inspired by the Cherneff family’s commitment to social justice. Most inspiring to me was that when it comes to social justice, the Cherneffs’ vision is global, transcending their own personal experiences. Personal experience influences how we see the world. Years ago, I co-founded and championed Footsteps, an organization that supports the choices of people who want to enter or explore the world outside of the insular ultra-orthodox communities in which they were raised. Like many founders, I was inspired by my personal experiences and the challenges I faced and witnessed around this life transition. Peter did not share the same background, but his support of Footsteps members has been unwavering. For some, working with people from such a drastically different background would have been a Herculean task. But not for Peter, who with compassion and curiosity became one of the most effective drivers of change on behalf of the Footsteps community. Empower Generation has been focusing its efforts on Nepal which, as they explain, “is one of the poorest countries in the world, with half the population living below the poverty line and more than half living without access to reliable power.” As she explained in her TEDx Zurich talk, that means that families need to choose between using the limited light they have to do homework or cook. Nepal is far from where Anya grew up here in the U.S. but, like her dad, she has forged friendships and alliances that have made citizens in Nepal who are impacted by Empower Generation truly valued, engaged, full partners in this endeavor. Empower Generation is an example of what we can do when we allow ourselves to be moved and when we value the ideas and wisdom that are rooted in experiences outside of our own. It is also the outcome of reflecting on resources we take for granted. Light is one such resource, and as we prepare to lose an hour of light in the evenings, let’s think about those who live without access to reliable power. In a country where power is abundant, let’s think about the impact our energy usage has on our world at large. Instead of just gaining an hour of sleep, let’s also gain some insight.